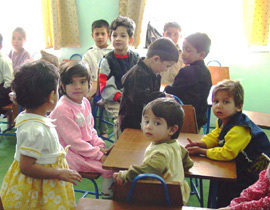 English: Kindergarten on the Ministry of Agriculture in Afghanistan. This image is a work of a United States Agency for International Development employee, taken or made as part of that person's official duties. As a work of the U.S. federal government, the image is in the public domain in the United States.